Well, it just wouldn’t be a feast without some lobster. Unfortunately, lobster is a pain to cook, and you don’t get much meat for your trouble. 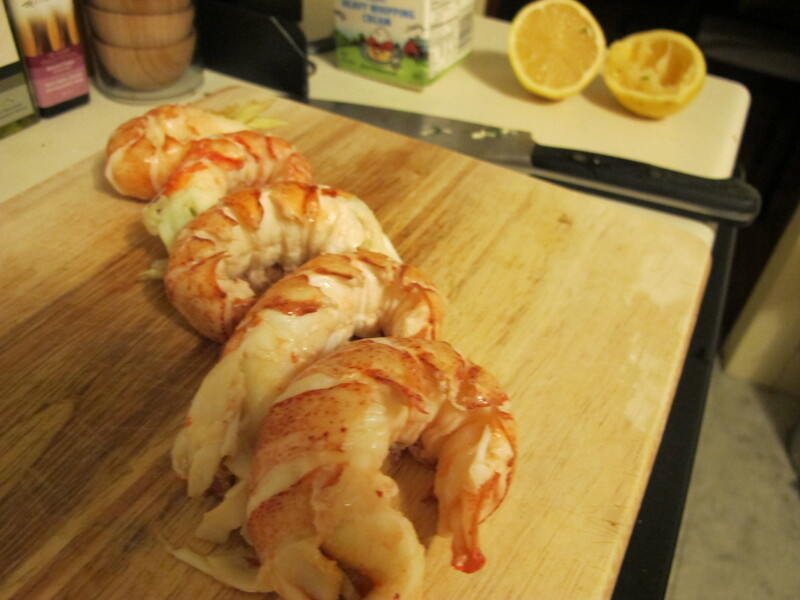 The solution is to buy pre-cooked lobster meat, but that’s rarely edible. Which is why I am ecstatic to have discovered Alive & Kicking Lobsters, a no-frills lobster pound located on Putnam Avenue between Harvard and Central Square. They sell lobster meat, salmon, shellfish, Alive & Kicking branded soda, and have won awards for their lobster sandwich (sandwich, not roll). They even have a few parking spots and a little outdoor seating for warmer weather. The employees sit behind a glass booth – which is a little alarming – but they are extremely nice, especially when you’re buying 3/4lb of lobster tails. This ran me $28, but it was absolutely worth it. The meat was perfectly cooked, had been very well chilled, and all I had to do was chop it for my recipe. A few notes about what to expect in a lobster: If you cut open the tail to find something red, black, or green- it’s ok, those are eggs or the tomalley. All of these things are a natural part of lobsters, and every website uses the standard “don’t panic” disclaimer that they are “considered a delicacy by many.” Voila! Saute mushrooms, shallots and garlic in butter until fragrant and tender. Add white wine and lemon juice, reduce over medium-low heat for 3-5 minutes. Add cream and parsley, salt to taste. Let simmer for another 5-8 minutes, then remove from heat until your pasta is cooked. Return pan to medium heat, add tomatoes, simmer for 1-2 minutes. 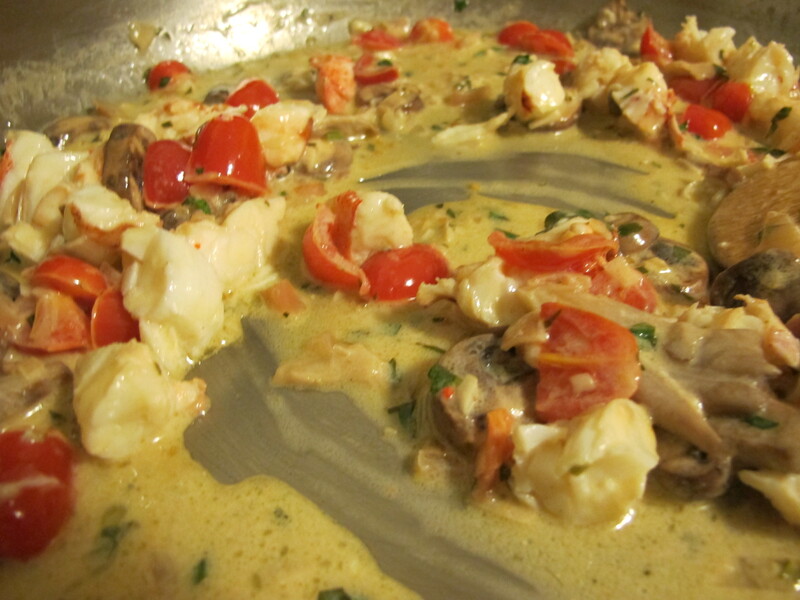 Add cooked lobster meat, simmer for 1 minute. Turn off heat. Add cooked pasta, stir. Top with parmesan cheese, if desired. Voila.